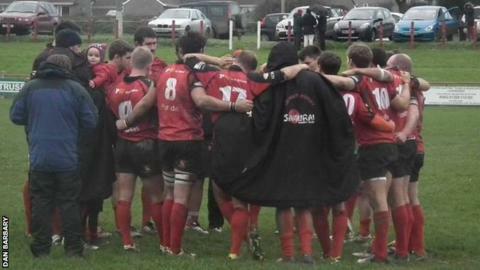 Outgoing Redruth boss Ashley Morcom says his squad "played out of their skin" in their 20-19 win at Cambridge. Jake Rayment's try just before the end sealed the win which secured ninth place in National Two South. "Coming to Cambridge, which is not a good ground for us, we tend to lose and lose quite heavily, but the boys played out of their skin," Morcom said. "To come away with a point, let a alone a victory, was what I was looking for," he added to BBC Radio Cornwall. Morcom took over with the club in financial problems and deep in relegation trouble. "With the results that have gone our way in the last couple of weeks, and the performances at home against some of the top-end sides, we've worked our way out of it."